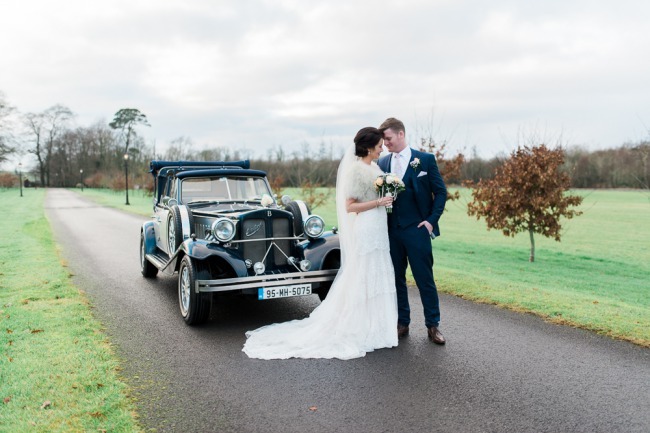 In this article I present a short guide to planning a destination wedding in Ireland and what to expect once you arrive on the Emerald Isle. The best part about traveling in foreign lands is being able to meet the locals, learn the history and traditions of a place, and partake in authentic cuisine! All in all, Ireland is truly a magical, warm and hospitable place filled with real live castles, lush green rolling hills, and stunning vistas. 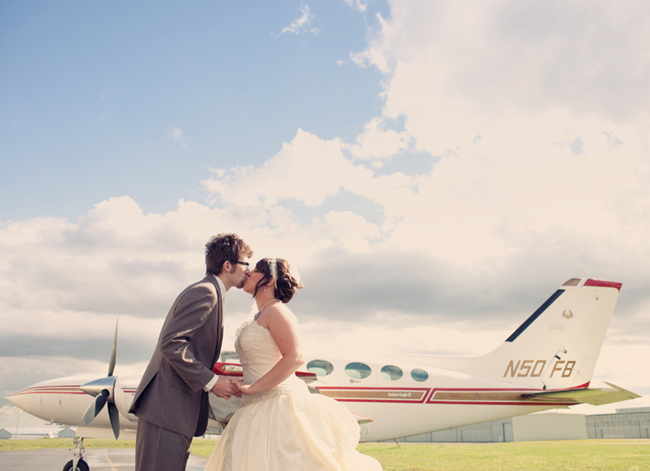 A memorable wedding day is practically guaranteed. Dublin: Long-haul (US: Atlanta, Dallas, Boston, Chicago, Los Angeles, Las Vegas, San Francisco, Newark, New York, Heartford, Orlando, Philadelphia, Washington, Canada: Toronto, Montreal, St John’s), European, British and local flights. Galway: European, British and local flights. Aran Islands and Connemara Regional Airport: Flights to and from the Aran Islands off Ireland’s west coast. Donegal: Flights to Dublin and Glasgow. Kerry: European, British and local flights. Waterford Airport: Served by flights from French and British flights. Ireland has both a train system called Irish Rail that connects Dublin to major cities and towns around the country, as well as a bus service called Bus Ireann. Fares are reasonable for both the bus and train. I still highly suggest couples and any guests rent vehicles to get around while in Ireland. Driving on the left hand side around narrow country roads is tricky at first, but can be mastered in short order. Most rental cars will be standard transmission as opposed to the automatic rental car we are used to in North America. You can get an automatic rental car over here in Ireland, but they are much more expensive and limited in number. I would suspect if you tried to rent 25 automatic cars, you would exhaust the entire fleet! Legal civil ceremonies in Ireland are not a matter of just showing up and saying I-Do. There will be paper work that couples will need to fill out, and an application must be made 3 months in advance before you can tie the knot. It can be a head ache to make sure everything is done correctly. 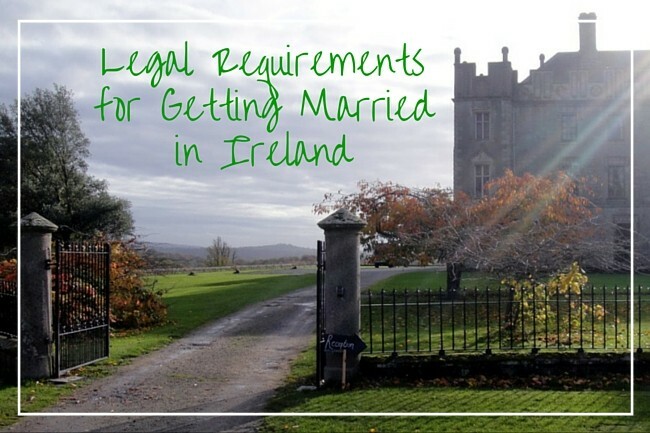 Check out an article I wrote on Legal Requirements for Marrying in Ireland for more information. The Republic of Ireland’s currency is the Euro (€). Bank notes come in €500, €200, €100, €50, €20, €10 and €5 denominations. If you try using anything above a €100 note in shops they may not accept it, or will carefully inspect it. With 100 cents making up €1, the following coins circulate in Ireland: 1c, 2c, 5c, 10c, 20c, 50c, €1 and €2. Visa, Mastercard/Eurocard are widely accepted in Ireland. All grocery stores, hotels, shops, gas stations, restaurants, pharmacies, transportation, etcetera will accept credit cards. Other cards: American Express is accepted, but not as common as in the United States or Canada. Diners Club, JCB, and Discover are generally not accepted. It is not advisable to rely on these cards as a sole method of payment while in Ireland (or the rest of Europe). You will find that some retailers in small towns or villages may only take cash. Certain stores will refuse credit cards for amounts smaller than 10 euros. It isn’t too hard to find an ATM though, and I would advise always having some cash on hand, especially if you are planning on shopping in small stores or in rural areas. I have even read that some travelers find a few Bed & Breakfasts who indicate they accepting credit cards, but once guests arrive it is a different story. Just like in the US or Canada, some shops will only accept debit cards. Don’t be alarmed if the store you are shopping at won’t take your credit card. This is particularly true for the discount supermarket chains Aldi and Lidl. The tax in Ireland is called VAT (“Value Added Tax”) and it is applied to most goods and services. The rate will depend on the type of product you buy, but most items are subject to the current rate of 23%. The one great part about VAT is that unlike North America, where you have to pull out some old high-school math skills, the price you see on the price tag includes VAT. No complex arithmetic required at the checkout! According to mrs2be, who surveyed over 2400 couples about their 2014 Ireland wedding costs, the average amount spent was €19,635, which is equivalent to $21,361 USD. Including the honeymoon, the amount rose to €24,490. Of course with a little research and some careful planning you can organize a budget friendly wedding abroad for under $10,000. At the other end of the spectrum, you can plan an ultra luxurious wedding in a castle and splurge on everything your heart desires. One great advantage of a destination wedding is that you have a built-in honeymoon escape! You have already traveled somewhere abroad, so why not addon your honeymoon? The proximity of Ireland to mainland Europe means you are bound to find a cheap flight to Portugal, France, or Italy to spend time together as newlyweds. How to pay your wedding vendors in Ireland isn’t too difficult to sort out. Vendors usually accept all major credit cards or electronic fund transfer. Of course, if you are planning a wedding in a rural area it is best to check which payment method a vendor will accept. There’s no doubt about it, Ireland is a mild and wet country. The weather can be unpredictable and change very quickly – sunny one minute and raining the next, producing outstanding rainbow opportunities! We were driving from Carrick-on-Shannon to Sligo in the north of Ireland earlier this year and experienced rain in the morning, then sleet around lunch time, and finally glorious sunshine by the time we made it to our cliff viewing destination similar to below. If you have your heart set on an outdoor wedding in Ireland be sure to have a back up plan because it just might rain at some point. The warmest months in Ireland are July and August. Spring: February to April, the average highest temperatures range from 46 to 54°F ( 7.7 -12.2°C), with April being considered particularly pleasant. Summer: May to July, the average high ranges between 64 and 68°F (17.7-20°C). A particularly interesting bonus fact to note: during late June and throughout July there is an abundant 18 hours of daylight. It actually only gets dark after 11 pm – perfect for an al fresco style reception. Autumn: August to October, the highest temperatures will get between 57 and 64°F (13.8-17.7°C), with September being considered a mild, temperate month. Winter: While the coldest months in Ireland are January and February, the air temperatures inland will normally reach 46°F (7.7°C). The temperature can drop to below freezing occasionally, sometimes seeing a cold snap that can bring a little snow. Ireland is bustling during the summer months with festivals at every corner, and would be considered the high season for visitors. 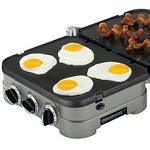 Whereas autumn and spring are considered mid-season, both bringing their own unique delights. One saying that you will hear not only in a local pub, but on the streets of small and large towns alike is the Irish slang word ‘craic’. It is pronounced like the word crack, and it generally translates to have a good time. The Irish people are generally relaxed and laid back. We find most people we meet are but friendly, fun loving, and a very hospitable bunch. 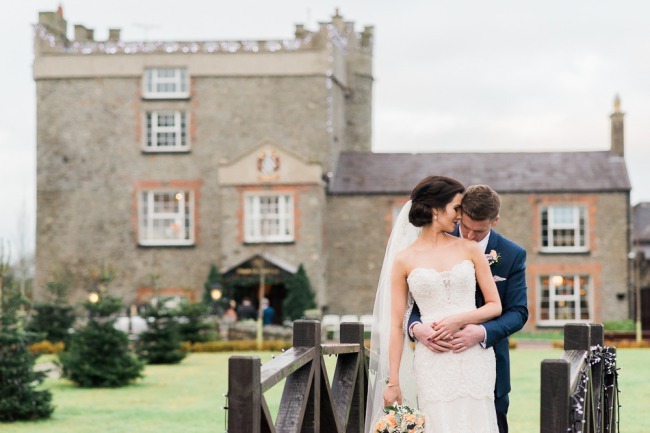 No matter where you host your wedding in Ireland, a very warm welcome awaits you. English is the main language spoken in Ireland, although you can still find pockets of villages in the west of Ireland called a ‘Gaeltacht’ where Gaelic would be the spoken language. In these areas you will see Gaelic signs without an English language translation. Since living in Ireland, my husband and I have learned that all livestock in Ireland are highly regulated and can be traced back to the exact farm. Almost all animals are out in open air fields, eating natural grass and living a normal animal life. It is something that I was pleasantly surprised to find. The most famous Irish drink of all is obviously Guinness. However, there are other stouts and beers brewed in the country such as Beamish and Murphy’s, which are brewed in Cork. Stout has become so popular in Ireland that small micro-breweries are popping up and selling small quantities of the stuff. Much like how Portland has become a hub for craft beers in the US. Another popular choice for alcoholic drinks on tap are ales and ciders. This includes Bulmer’s Cider and Smithwick’s Ale. Just ask the bartender if you are unfamiliar with Irish beer and he will be happy to assist. Last but not least is Irish whiskey. It comes in single malt, single grain, and blended whiskey. 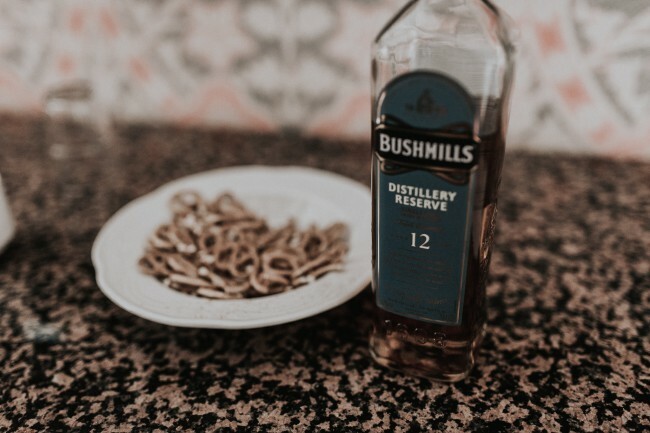 If you are a whiskey connoisseur, a trip to a whiskey distillery in Ireland is a must. The geography of Ireland is generally rolling hills and rocky coastal shorelines. White sandy beaches can be found in various parts of the country, as can a few small mountain ranges. The whole island of Ireland is divided into 4 provinces, which includes Northern Ireland as well as the Republic. The three provinces in the Republic of Ireland are broken down further into 26 counties. Northern Ireland has 6 counties which form the remainder of the 32 total counties in Ireland. Each county is rich with its own history, local tourist attractions, climate, and most of all the stereotypical Irish green beauty that stretches for as far as the eye can see. 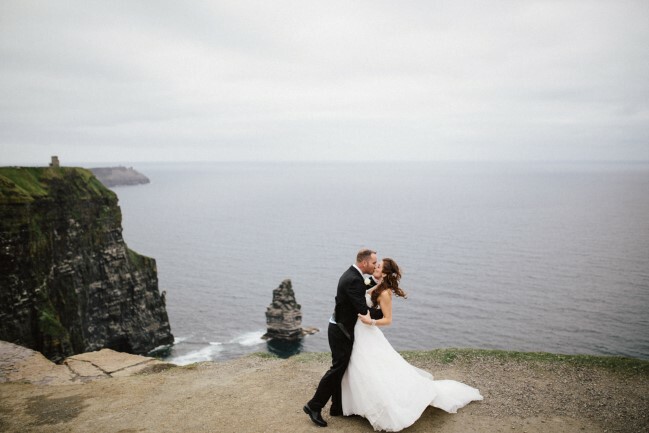 Endless postcard worthy moments make Ireland a destination wedding location on par with the best in the world. 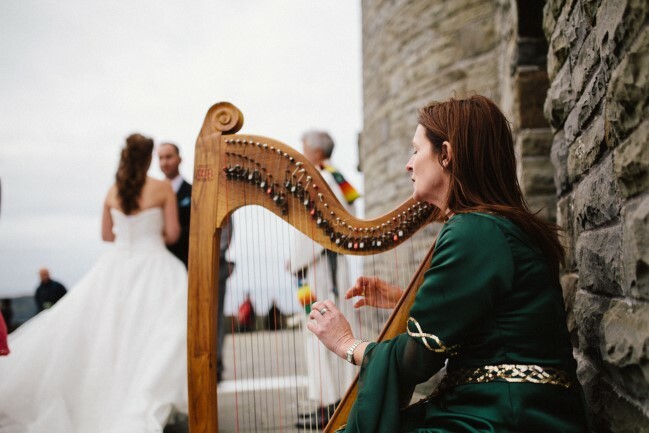 Thinking About A Destination Wedding in Ireland? Love & Lavender Weddings would be thrilled to help! 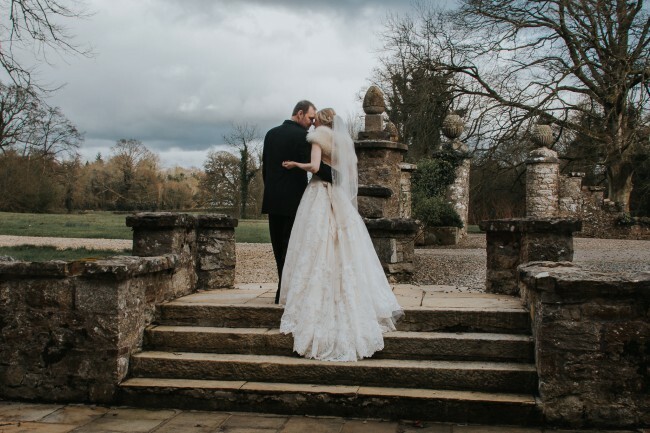 If you are looking to host a unique and memorable wedding experience in Ireland, please get in touch to discuss your event and how we can help. We look forward to working with you soon! Interested in an Ireland wedding. Would like more info!